THANKS AI grows its crops basing on sustainable agriculture. We engage in a wide range of activities with the aim of growing and expanding our Ai Farmer membership. but such farming methods come with great sacrifices. 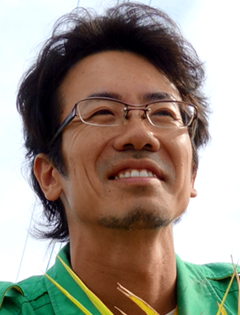 Our aim is to reform those methods and revive Japanese agriculture. We will also apply our organizational strength to the sale of all of the Ai Produce shipped by our farmers. and to contribute to a lasting safe and worry-free food culture. Farmers must invest in a wide array of raw materials including agrochemicals and fertilizers before they even begin their work. The soil environment is deteriorated due to the killing of living things with fungicides and pesticides. Farmers risk inhaling harmful agrochemicals when administering them to their crops. Government policies and regulations on sales cause fluctuations in crop values that farmers have no control over. Most vegetables that find their way onto modern dinner tables are mass-produced using modern farming methods that emphasize color, appearance, and price. These methods sacrifice many nutrients originally present in these foods, contributing to malnutrition in the modern consumer. Further, even organic farming that adheres strictly to food recycling and JAS regulations for organics have been the subject of doubts concerning food safety. We wish to deliver produce to the world that is truly safe and can be eaten with peace of mind. To that aim, we strove to develop an extreme cultivation method emphasizing harmony between the cycle of nature, work, and other living things, that we call “Ai Produce”. Ai Produce is safe produce grown naturally by sustainable agriculural method, which preserves the nutritional bounty of minerals packed tightly in the earth. In order to produce safe, worry-free agricultural products based on sustainable agriculture, we have researched and developed soil ameliorating agents containing fulvic ionic minerals, and have begun to provide these agents to our farmers free of charge. By providing this support for soil-building, which is the biggest hurdle to transitioning to Ai cultivation, we have received wider approval and greater cooperation from our farmers. Harvested Ai Produce will also reach your family’s table through the THANKS AI network. We provide a 1% bonus to all members to encourage these activities. We receive contributions from our members to provide support in turn, from soil-building and farming method training to selling to informed consumers. Keeping this cycle going is the key purpose behind THANKS AI’s agricultural education activities. Our current goal is to reach 1000 full-time farmers engaging in Ai cultivation so that Ai Produce can reach tables in as many homes as possible. 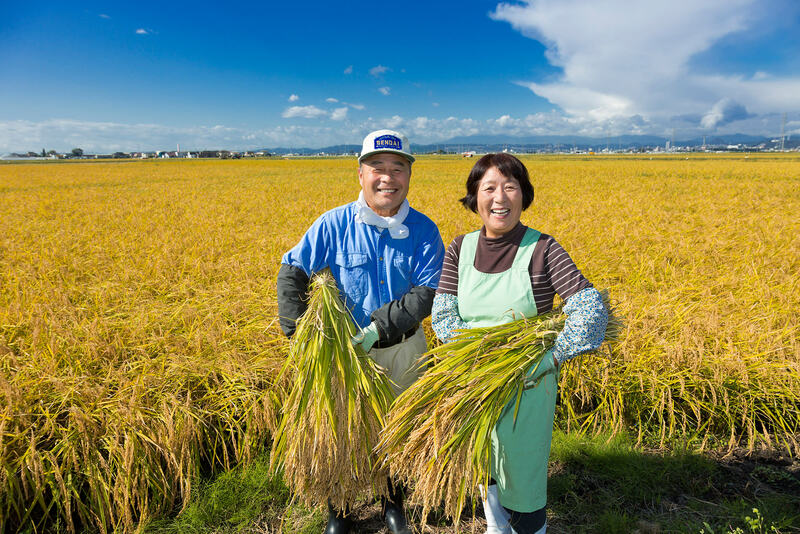 I believed that the kind of farming that truly pays respects to the strengths of rice as it exists in nature had all but disappeared, and I wanted to get back to that kind of rice farming. I did not even know whether it was possible to successfully grow rice without chemicals or fertilizers, and I tried countless things that failed, but I was sure that I would eventually make some kind of breakthrough, so I kept groping for a solution. For example, I tried raising seedlings before planting in late March and April when atmospheric and water temperatures were both very cold. Traditionally, there is an emphasis on shortening the seedling time as much as possible, forcing sprouting by raising temperatures with a machine. We prioritize the rice plant’s natural cycle over time and efficiency, which may take a lot of time, but the low temperatures allow the plant to sprout very deliberately. Rather than the rice itself, my thoughts always turn to the beauty of the sprouted seed, its beauty and strength as it grows in nature. I think about how I am impacted by the cultivation process all while feeling the beauty of life. Rice farming is the symbiosis of Japanese culture and nature. I don’t want us to lose that.